The very first thing you think about when you talk about Switzerland is the incredible available scenery. There are so many stunning lakes you can visit and you surely want to see as much of the Swiss Alps as possible. However, although it is incredible to stay at a chalet in Switzerland and there are many popular tourist attractions that will make your stay true paradise, there are countless destinations that are simply not discussed. Even locals do not know much about truly breathtaking travel destinations that you can enjoy. Below you can find suggestions about some Switzerland attractions that are not normally offered by travel agents but that you do want to know more about because they are simply stunning. Around ten thousand years ago there was a glacial run-off that eroded a huge fissure inside limestone. The result was the Aare Gorge and its deepness of 200 meters. There is now a very well-built network of tunnels and trails that allow you to walk through the whole gorge, which is 1.4 kilometers long. You can only imagine the sights and the memories you can make. This landmark appeared after erosion did its work for literally millions of years. 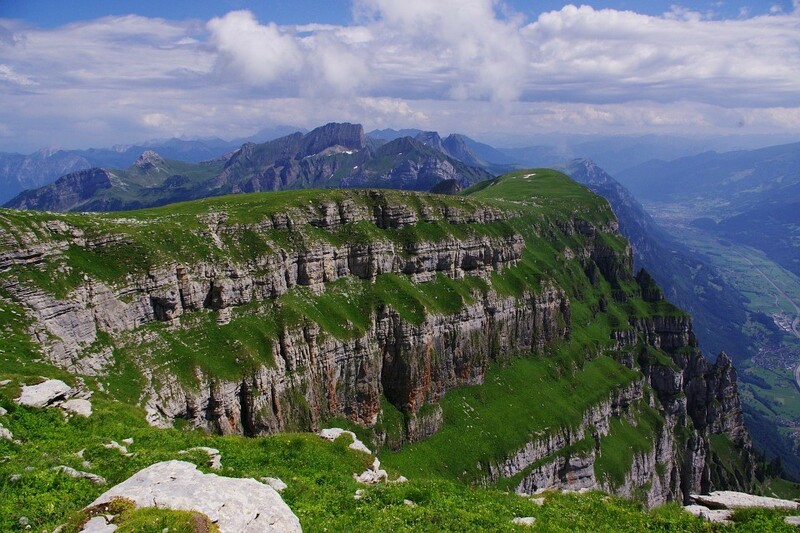 It is located in Jura mountains and is 160 meters high, a vertical cliff that you want to visit so you can see birds of prey, marmots, ibex and many other animals. Creux De Van is quite close to the Neuchatel Val-de-Travers district. It is also only 2 hours away from Geneva by car. This is another incredible spot in the beautiful Jura mountain range. It is practically just a small lake that is surrounded by a march. When you put it like that it is not special but the scenery and atmosphere you can experience here are simply incredible. It is really similar to what you would expect in Nordic regions so it is not as characteristic of the regular Switzerland landscape. If you want to take a walk around this lake you should allow yourself at least 45 minutes to do so. Also, you can be a part of guided tours that take you through the close-by nature reserve. Start in Romainmotier and take a 2 hours hike towards the Vaud canton. This allows you to see 2 incredible natural waterfalls that are quite unknown. Trekking takes you through Nozon gorge, which many see as being similar to the US Grand Canyon in terms of beauty. Then, you are greeted by the majestic Cascade du Dard. If you continue on the trail you also reach the Tine Des Conflens in Venoge Valley. This second waterfall is particularly beautiful as it is shrouded in greenery. According to local legends, St. Beatus, a pious monk, decided to live in a Lake Thun cave around the year 100 AD. The problem was that a fire-breathing dragon was already calling the cave home. St. Beatus managed to slay that dragon thanks to help from God. Then, he continued with his saintly work and not much is known about the rest of his life. Nowadays, tourists can visit a part of that cave and admire the setting it has, which is unique. The entrance building is placed right against a beautiful vertical cliff that will make you feel a little humble when you see it. At Areuse Gorge’s bottom you can find a stone bridge that makes nature walks feel like magic. It arches across the local river and is located between 2 really steep cliff sides. Saut De Brot is placed in a way that makes it so easy to admire the scenery. You can practically feel how Areuse Gorge was created by nature. 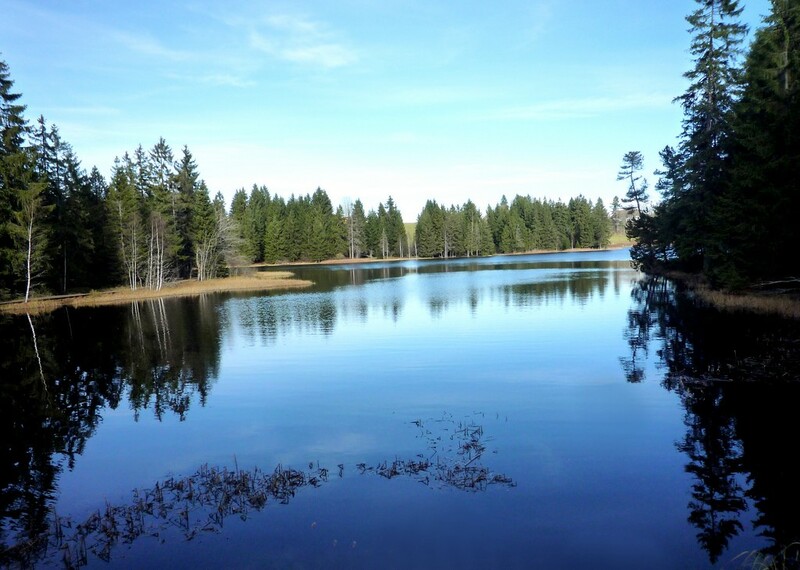 If you want to experience more during your trip, opt for a hike that moves you through Val-de-Travers. Montreux’s Chateau Chillon does get all the laurels among tourists but in Sion there are 2 other castles that you do want to visit. They are imposing and are placed on 2 hills that are opposite in location. They overlook Sion, which was the Valais capital in the past. You should also consider visiting the old town area of Sion since there are numerous medieval buildings present that are perfectly preserved. Why not learn more about Ideas? Stag weekend parties are part of a tradition that has been around even back to the Roman Civilization. The term stag party is endemic within United Kingdom, in other countries it may be termed as bachelor party. The term stag was coined so that it refers to one’s manliness. This entire correlation was based on the common knowledge that stags are quite very capable of wooing their female counterparts. Even now, this tradition is still observed by many people and it seems as though it is not going to die down anytime soon. Actually, stag parties have reinvented itself to be more elaborate, charming, wild, and extravagant. In the previous years, stag parties are more of the night before the wedding celebration which in some way makes sense according to its term. In these days, people schedule the bachelor parties days before the wedding celebration. Brides are more firm in not having their grooms have hangover the day after since it is after all their special day. Other countries have more or less the same kind of activities prepared for stag nights. Generally, the day starts with a casual get together coupled with light but fun activities. The activities is based on where the groom is from. But the general notion is that the groom can get to do unusual things that are not experienced by a married man. For example, there may be a stripping of the groom’s clothes or tying him to a pole while being half naked. The same thing all over the world is to have unlimited drinks! The same thing all over the world is to have unlimited drinks! If you are thinking of having an unusual stag party, you may consider to fly to some exciting destination to hold this event. This is a good opportunity to deviate from the norm. There are tons of options that you can choose in planning daytime activities for the whole gang given that you share the same preferences. Examples of these activities are diving, snorkelling, sailing, motorbiking, parasailing, wind surfing, and water skiing. You would also need to consider if the groom is not comfortable with having naughty night activities so you can totally opt to stop in the daytime activities and just enjoy a night filled with solidarity and fun with bro conversations. You can actually skip the notorious night by going to a karaoke stall and sing your night out with a couple of beers in tow. You really have to have a consensus and bear in mind that the opinion of the groom matters a lot. Going on vacation can be very fun and if you had gone to vacation last summer, you might want to try something else for your next trip but you probably do not really know where to go yet. There are many really beautiful places out there in the world and if you would like to explore these places, you can do so by getting tickets and flying to that place. You might have been to a few good places in your life before and if you have, you should really up your game by looking for more really exciting and adventurous places that you can explore next. Let us now look at one place that you might have heard of before but you never have been to before so without further delays, let us look at what this place is and what you can get from it. You might have gone to a lot of states in America before but if you have never been to the state of Alabama before, you should really think about it because it is a really beautiful place there that you can really enjoy so much. You might be thinking of what you can do and what you can find in Alabama and if you are wondering, we are here to share these things with you so just stick around. If you are someone who really enjoys theme parks, you are going to find a whole lot of them there in Alabama. If you like water adventure, you should really go and check out the Alabama Splash Adventure water park as it is really fun there and you can really get to swim and enjoy the time that you have there. You should really check these places out if you really want to have fun and a really good adventure time with your friends and with those you love the most. Do you have an idea how much you will be spending for an average type of hotel room every time you will be on a vacation? 500 dollars would be the answer from some people. Based on their experience, that is the amount that they spent for a hotel room during their whole vacation. But that is actually a really reasonable quotation and the price will obviously be depending on where you will be going and how long you will be staying there. But it does not matter how you will look at it, you are still going to spend a lot of money and there might be cases where things might go wrong. But always keep in mind that you should not spend so much on a hotel room. You should consider saving as much as 100 dollars on the price of the hotel room. But that is probably not the major concern here. The number one priority is to get the best deal for the place that you are interested in. You should at least stay in a hotel that you really like if you are willing to spend a lot of money on a single hotel room right? And you can view here more about that now, click here fore more. You will be able to discover more on this page how you can get the best deals for the hotel that will satisfy you for the duration of your vacation stay. Some of the mistakes that a lot of people make. People would most of the time look at the star rating of a hotel to try and check its quality. Start ratings are not the only factor even if it is considered as a good indicator for hotel quality. The star ratings are given by organizations that is why the opinions of other people are not reflected on it, and that is the problem with that. A solution that is simple but effective at the same time. One of the best tips for you to follow is to pay a lot of attention to the reviews of the customers and clients. Every time you will be looking into a hotel, a lot of the price comparison websites will be publishing the reviews of that hotel together with the star rating. Official Allegiant website, the only place to e-book Allegiant’s low fares for flights to Las Vegas, Florida, and extra. Search for the most affordable airline tickets for all the highest airways all over the world and the highest international flight routes KAYAK searches hundreds of journey sites that will help you discover cheap airfare and e book a flight that fits you finest. When the mist rolling off the Pacific whispers your title, ebook flights to San Francisco Walk the hilly streets lined with Queen Anne homes, visit the busy waterfront Embarcadero, or watch the following big idea take shape on the cusp of the Silicon Valley. You can save search results to track costs, create itineraries for upcoming journeys, share your plans with friends and family, sync it with your Gmail account to automatically create itineraries, forward reserving confirmations from most any web site to add to your trip, manually enter things to do, receive notifications about flight and gate adjustments and a lot more – multi functional place. Don’t go away “the Golden State” with out beachfront tacos in “America’s Most interesting Metropolis.” With fabulous flights to San Diego , you’ll be in your way picturesque sunsets over the closest pier and revolutionary craft beer at the nearest tasting room.